1995 – The Cardinal Chorale is organized from the ranks of the 33rd All-Ohio Youth Choir. 1997 – The second edition of the Chorale sings the opening concert for the OMEA Professional Conference in Toledo. 1998 – The third edition of the Chorale sings for OMEA and later embarks on a summer concert tour of England, Wales, and France. 1999 – The fourth edition of the Chorale performs for the Fred Waring Elderhostel Chorus in State College, Pennsylvania. 1999 – The Chorale sings for the funeral of William J. Brown at St. Joseph Cathedral, Columbus. An encourager of the early Cardinal Chorale, Mr. Brown was Ohio’s Attorney General for eleven years. 2000 – The fifth edition of the Chorale sings for OMEA, and that summer is invited to join members of Fred Waring’s Pennsylvanians for a concert at Penn State celebrating the 100th anniversary of Mr. Waring’s birth. 2002 – The seventh edition of the Chorale sings for OMEA, for summer concerts honoring the naming of a Lima campus after Governor James A. Rhodes, and, at the invitation of the governor, for the Ohio commemoration of the tragedy of September 11, 2001. 2006 – The eleventh edition of the Chorale sings for the Ohio Dr. Martin Luther King, Jr. Annual Commemorative Celebration at Central Presbyterian Church, Columbus, OH, and after tour sings for the memorial service for Ohio legend, Bob Evans. 2008 – Members of the fourteenth edition of the Chorale serve as artists-in-residence for the first All-Ohio Choral Festival. The Festival was funded by a grant given to Mr. Snyder as recipient of the Community Music Educator award given by the Columbus Symphony. 2009 – Members of the fifteenth edition of the Chorale serve as artists-in-residence for the second All-Ohio Choral Festival. 2012 – The sixteenth Chorale shares the stage with Mr. Leonard M. Thomas, who conducts them in some Waring arrangements in a concert saluting Mr. Thomas’ contributions to American choral music. 2014 – The eighteenth Chorale gathers in Coshocton for a February weekend of reunion and an encore performance at The Presbyterian Church. 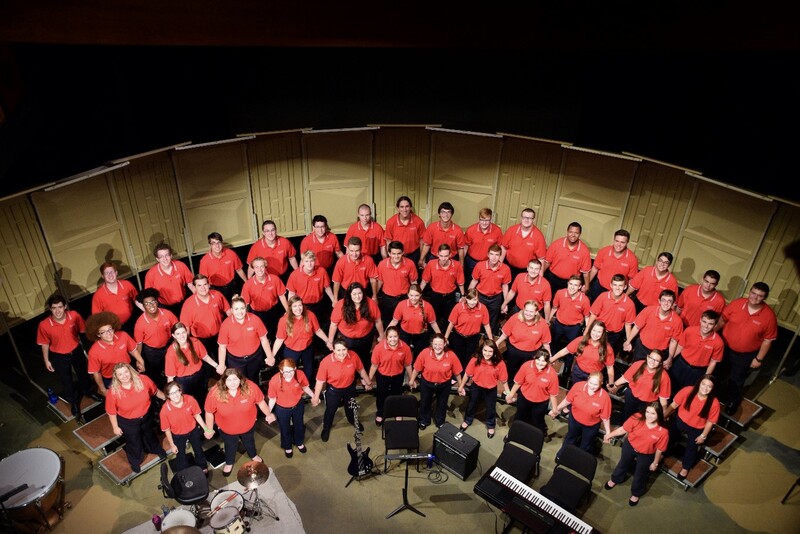 2017 – The twenty-second Chorale meets on the campus of Otterbein University to sing for the Ohio Choral Directors Association Summer Conference. 2018 – The twenty-third Chorale sings for the annual professional development conference of the Ohio Music Education Association in February, in Columbus.